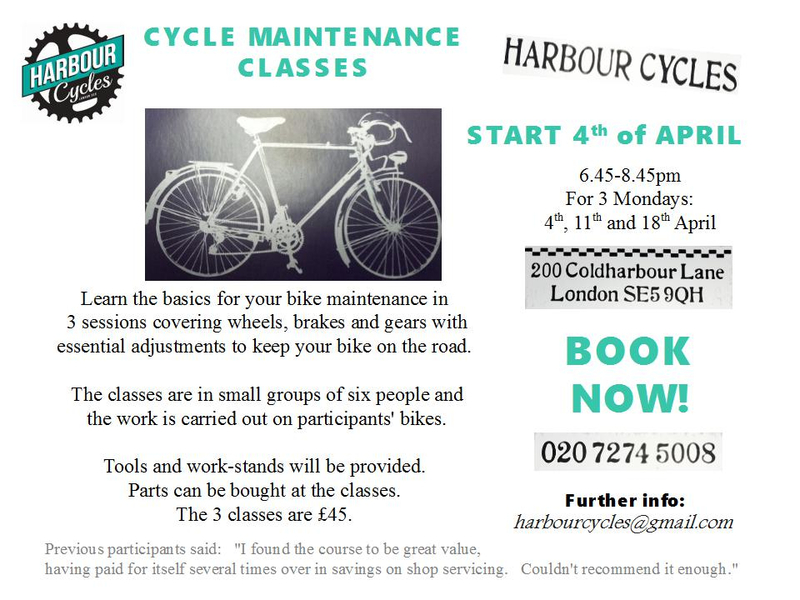 Their next basic cycle maintenance course starts on Monday 4 April 2016. The course will take place over three two-hours sessions on Monday evenings (4, 11 and 18 April). You will be working on your own bike and learn the basics of maintaining your wheels, brakes and gears to keep your bike on the road. The course costs £45 for the three sessions; parts and accessories will be available to buy if required.